It looks like Mother Nature is going to play nice this weekend, and tournaments will be able to have the full array to teams slated for their respective tournaments. This weekend however is a prime ACT test weekend, so some wrestlers may be taking the test versus competing. Here’s a look at some of the highlights in Class B during the second week of the season. There are a couple of interesting match-ups on the slate for Thursday night. Obviously, it is still very early in the season, but these early match-ups can be a good gauge of what we will see from the respective teams. #B2 Northwest vs. #B7 Lexington – This dual came down to the wire last year with the Minutemen defeating the Vikings by criteria and included bouts that had ranked wrestlers facing off. This year the only bout that should feature ranked wrestlers is at HWT where #3B Jade Wurth (Lexington) takes on #6B Marcos Martinez (Northwest). Wurth finished 4th at state last year, while Martinez was knocked out in the heartbreak round. This dual could again come down to a few points as the teams seem to have strengths at weights opposite of each other. #B4 Hastings at #2A Columbus – The old Class A foes continue their dual again this year. Last year Columbus defeated Hastings 39-25 with the Tigers having two open weights. Some key bouts to watch are at 132 where #3B Izaak Hunsley (Hastings) takes on #5A Carter Kucera (Columbus) and at 170 where #1B Damen Pape (Hastings) goes against #6A Blayze Standley (Columbus). The annual Boys Town Invite is always a challenging and demanding tournament, and this year is no different. 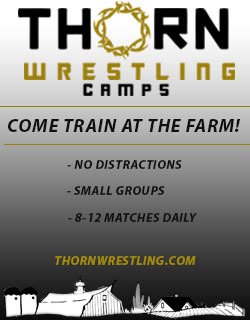 This year the tournament features four ranked Nebraska teams and 30 ranked Nebraska wrestlers. Some wrestlers are still on their decent plans, but should some of these match-ups occur it will set the early tone in Class B. Pay attention to 106, 120 and 195. At 106, Svoboda, Bailey and Ourada should battle it out for the title. Baily and Ourada look to be on a collision course at the B1 district, so this could be a good gauge of things to come. At 120, Nielsen is the favorite, but Arnold and Lomax may give Nielsen his first true test of the season. Nielsen and Arnold should also be a B1 district preview. 195 will be an interesting weight depending on what weight class Jansen is at. Kolterman is at the top of this weight class, but Jansen is a tough wrestler and could push Kolterman if he is at 195. Also, someone to watch is Alex VanDyke as he may be settling into a different weight class. Should he opt to go to 170, that would certainly bring some intrigue into that weight class into the future. 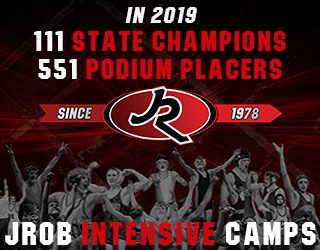 The Nebraska Duals are always one of the premier dual tournaments in Nebraska. This year the tournament showcases 30 ranked Nebraska wrestlers. Columbus, Columbus Lakeview and David City look to be strong teams that should contend for the overall team title. In the dual format, not all the ranked wrestlers will match-up, but there are certainly some quality ones that may come to fruition. The Crete Invite is the top Class B tournament on Saturday. The 126 and 132 weight classes could provide some great entertaining matches as they have multiple ranked wrestlers. 126 features two #1 ranked wrestlers in Sturdivant and Casey. Talmadge isn’t someone to overlook at this weight either. At 132, Brandenburg should get his first challenge of the season from either Hernandez or Scdoris. One other wrestler to keep an eye on is Dyson Kunz. He wrestled at 120 last weekend and may eventually settle into 113 weight permanently. His move to 120 would certainly shake things up in the 113 and 120 weight classes. December 5, 2018 in High School.